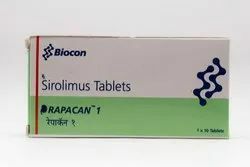 Providing you the best range of rapacan 1mg and wepox 10k with effective & timely delivery. Rapacan 1 mg Capsule is an immunosuppressant medicine used along with other medicines to prevent the body from rejecting a kidney transplant. This medicine is not recommended for use in children less than 13 years of age. 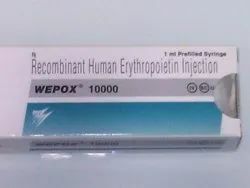 Wepox 10000 IU Injection is a synthetic form of a protein that regulates the formation of red blood cells in the body. It is used to treat anemia caused due to severe kidney disease or cancer medications. It is also used during certain surgeries to decrease the need for blood transfusion. Looking for Kidney Medicine ?